Sheriff Sale Archives - Ira J. Metrick, Esq. 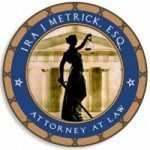 November 22, 2016 By Ira J. Metrick, Esq. October 17, 2016 By Ira J. Metrick, Esq. What Are My Options When Facing A Sheriff Sale? September 20, 2016 By Ira J. Metrick, Esq.